"Ineffective management" allowed the Internal Revenue Service to single out conservative organizations for excessive review of their tax-exempt statuses, according to a report by a Treasury inspector general obtained by CBS News. The IRS "used inappropriate criteria that identified the Tea Party and other organizations applying for tax-exempt status based upon their names or policy positions, instead of indications of potential political campaign intervention," a summary of the report read. "Ineffective management" allowed the inappropriate criteria to remain in place for more than a year and a half, delayed the processing of certain applications, and allowed requests to be issued for unnecessary, "burdensome" amounts of information, like past and future donors. The report's author, TIGTA - the Treasury Inspector General for Tax Administration - asked various officials and IRS personnel "if the criteria were influenced by any individual or organization outside the IRS. "All of these officials stated that the criteria were not influenced by any individual or organization outside the IRS," the report read. According to TIGTA, of the 296 total political campaign intervention applications reviewed as of December 17, 2012, 160 remained open for up to 1,138 calendar days; more than three years and spanning two election cycles. President Obama responded to the report in a written statement Tuesday night saying "the report's findings are intolerable and inexcusable. The federal government must conduct itself in a way that's worthy of the public's trust, and that's especially true for the IRS. The IRS must apply the law in a fair and impartial way, and its employees must act with utmost integrity. This report shows that some of its employees failed that test." TIGTA made nine recommendations to the IRS as to how it should correct its processing procedures. Several suggested the agency develop training programs to be held ahead of each election cycle to instruct proper ways to identify applications that require review, what constitutes political campaign intervention versus general advocacy and how to word questions in additional information request letters, as well as what level of information requested is appropriate. Another recommendation said the IRS should "expeditiously resolve remaining political campaign intervention cases (some of which have been in process for three years)." IRS officials agreed with only seven of the recommendations, and proposed two alternate adjustments. The agency denied the suggestion that it post to the Internet guidance on how to process requests for tax-exempt status involving potentially significant political campaign intervention. It also countered TIGTA's recommendation that it "develop procedures to better document the reason(s) applications are chosen for review by the team of specialists," stating that the IRS will "will review its screening procedures to determine whether, and to what extent, additional documentation can be implemented without having an adverse impact on the timeliness of case processing." TIGTA responded that it "does not agree that the alternative corrective actions will accomplish the intent of the recommendations and continues to believe that the IRS should better document the reasons why applications potentially involving political campaign intervention are chosen for review and develop and publish guidance." In the IRS's response to the report, Joseph Grant, the acting commissioner for tax exempt and government entities said, "We recognize that some errors occurred in the handling of the influx of advocacy cases" and attempted to explain why the IRS centralized the approval process for organizations applying for 501(c)4 tax-exempt status. Grant wrote that "centralization was warranted" because many of the applications the IRS began to receive in 2010 "were in many cases vague as to the activities the applicants planned to conduct. "For example, a number of applications indicated that the organization did not plan to conduct political campaign activity, but elsewhere described activities that appeared in fact to be such activity." 501(c)4 organizations are limited in how much political activity they're allowed to take part in. However, Grant admitted that "the manner in which we initially designated cases for centralization was inappropriate. "We recognize that selection based on organization name was not appropriate for these cases," he wrote. Grant added that the IRS acknowledges there were delays and some requests for information "went overboard." Ahead of the IG report going public, acting IRS commissioner Steven Miller said Tuesday "mistakes were made" within the agency - but that the practice was "in no way due to any political or partisan motivation." In an op-ed Tuesday in USA Today, Miller argued that the IRS targeted groups affiliated with the tea party because at the time, in 2010, there was a "sharp increase" in the number of applications coming from those types of organizations. "We sought to centralize work in this area in 2010 because our office of Exempt Organizations observed a sharp increase in the number of section 501(c)(3) and 501(c)(4) applications coming from groups potentially engaged in political campaign intervention," Miller wrote. "Between 2010 and 2012, the number of applications for 501(c)(4) status more than doubled, from 1,591 to 3,398." 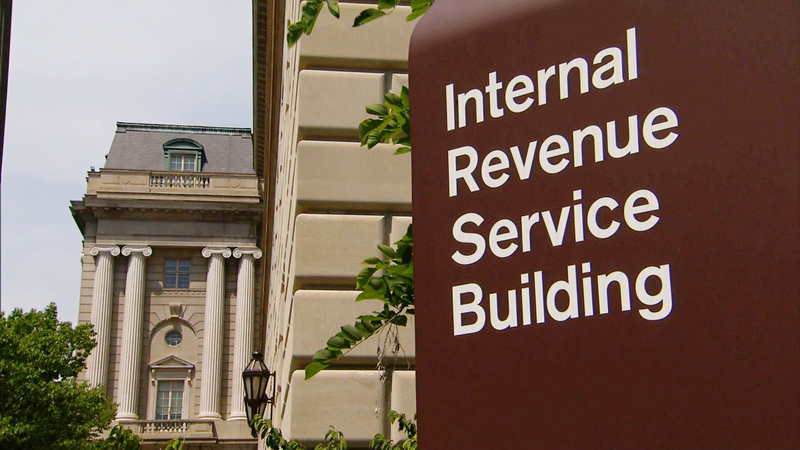 It was important for the IRS to carefully review those organizations' applications, Miller argued, because "the law limits and in some cases prohibits political intervention by exempt organizations." Still, he said, the "way we initially centralized" those cases for review "did not" make sense. CBS News' Nancy Cordes and Lucy Madison contributed to this report.